Home / Asia's Got Talent / El Gamma Penumbra / Gerphil Flores / Gwyneth Dorado / Junior New System / Television / Pinoys, Who Will You Vote at the Grand Finals of Asia's Got Talent? 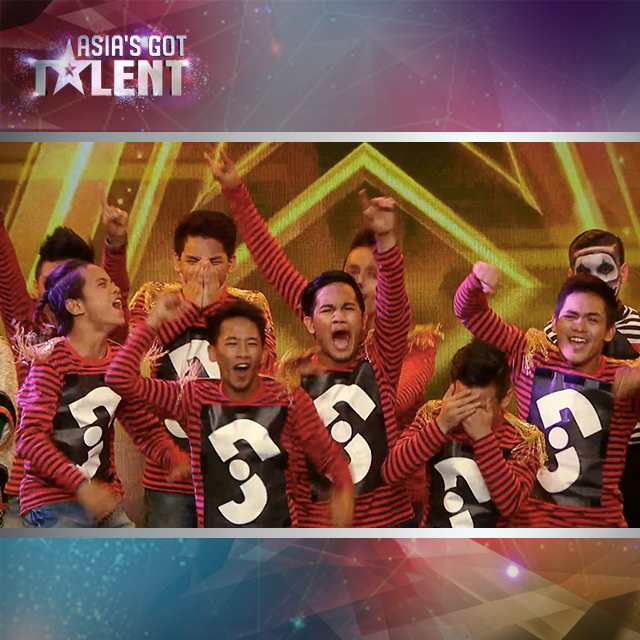 Pinoys, Who Will You Vote at the Grand Finals of Asia's Got Talent? Another Filipino talent received the golden buzzer during the semi-finals batch 2 last night (April 23 episode), sending them straight to the grand finals. Junior New System, a group of talented kids danced their way to impress the judges even better than their audition piece. While the judges were at awe with the very entertaining dance routine of young group Junior New System, I wasn't surprised as it's nothing new. I've seen the same technique in various local talent shows, It's Showtime in particular. The same can be said about the Japan tron or robotic dance which some Japanese acts have shown at Asia's Got Talent. I've seen YouTube videos of both Triqstar and Time Machine. They have already shown the same technique in talent programs they're previously joined in Japan. These dance style from both Filipinos and Japanese may seem new to the AGT judges though, hence, they were very impressed. So far, 2 Pinoy acts are now part of the grand finals which will most likely be held on May 7 or 14. These include Junior New System (as mentioned already) via the golden buzzer and Gwyneth Dorado (who won the voting along with Triqstar after semi-final 1). The Velasco Brothers (also from batch 1 semis last week) didn't make it. I prefer them over Gwyneth but it appears that the kid's fan base is bigger even though her performance was lacking last week. Her home town, the Antipolo City local government was very active in campaigning for votes too. Gerphil Flores, who received the golden buzzer straight to the semis for her audition piece performed well during this week's semi-final batch but she didn't stand out against the dancing kids. I saw her beam in smile when Junior New System was announced for the golden buzzer though. She seems genuinely happy that a fellow Pinoy act made it. I voted for her this week. Hopefully, she makes it for the grand finale. Next week, I'll sure vote for El Gamma Penumbra (in case they don't get awarded the golden buzzer). I know their performance will be a blast even before they start performing. So in case Gerphil Flores and El Gamma Penumbra joins Junior New System and Gwyneth Dorado for the grand finals, who would Pinoys vote?